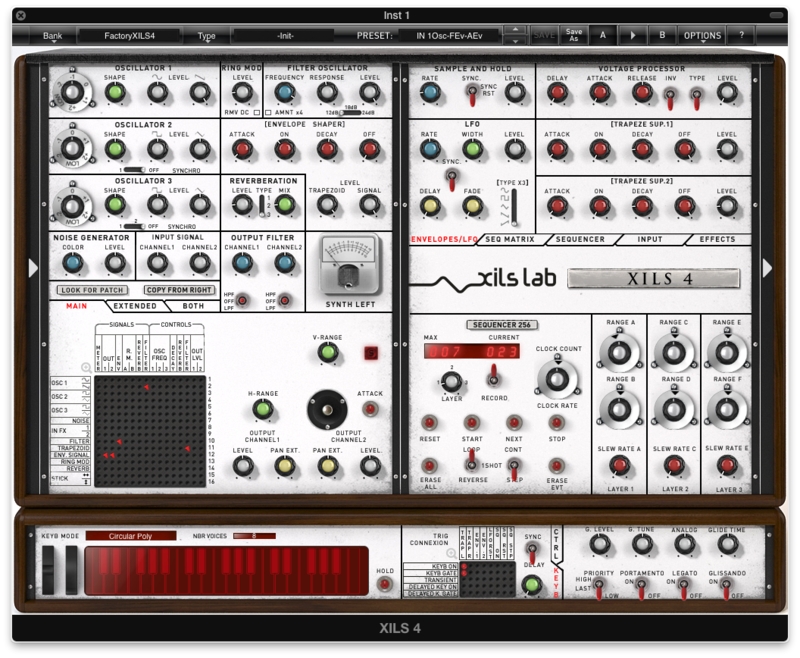 Recently I was given the opportunity to check out XILS Lab's new XILS 4, which is the successor of XILS 3, a plugin version of the famous VCS3 by Electronic Music Studios (EMS). The original release of the VCS3 came in 1969, making it one of the oldest synthesizers, yet today it's still lusted after and used by many great electronic artists, like LCD Soundsystem, Vince Clarke, Brian Eno, and Kraftwerk. At first sight, the VCS looks more like old communications equipment than it does a musical instrument, and the plugin's interface accurately recreates that feeling. The interface isn't quite as easy to grasp as your more modern plugins at first, but if you're considering the X4, you likely know that and are embracing it, as different interfaces are what allow synthesists to create so many different sounds. The XILS 4 is a 3 oscillator synthesizer, with each of the oscillators being split between two shapes that you can adjust and mix, the first being sine and sawtooth, the second and third square and triangle. Each oscillator can be set from "Low" to -2 up to +2 octaves, in addition to fine tuning, and oscillators 2 and 3 can be hardsynced to the first. The X4 also features a ring mod, and 12dB, 18dB, and 24 dB filter slopes. The envelope is the original "shaper" form, which features "On Time" in addition to of the standard "Sustain" mode-- a bit more about that later. Other notable main features include the peg board, which is seen in the bottom left of the interface, with multiple pages for classic and extended modulating. To the right, in the non-synthesizer module, are more envelopes, an LFO, a sequencer and sequencer matrix, external inputs, and effects like delay, phaser, and chorus. The X4 features 2 synth modules, which contain the oscillators and filters, and one modulation module. Finally, at the bottom of the synth, we have our standard on screen keyboard, polyphony settings, and other keyboard options. The XILS 4 has an huge preset library to choose from which can be arranged by style, type, and other qualities, so picking out some sounds to get up and running with immediately is a breeze. Once you begin to delve in further, though, you'll find that the X4 gives you complete control of the signal paths, and every routing has to be connected by the user if you choose to build from the ground up. If this isn't clear to you what I mean, a standard subtractive synthesizer's path is usually oscillators to filter to envelope to effects. In the case of the X4, you can route the synthesizer in unique ways, like routing the oscillators to the reverb, then filtering and ring modulating it. 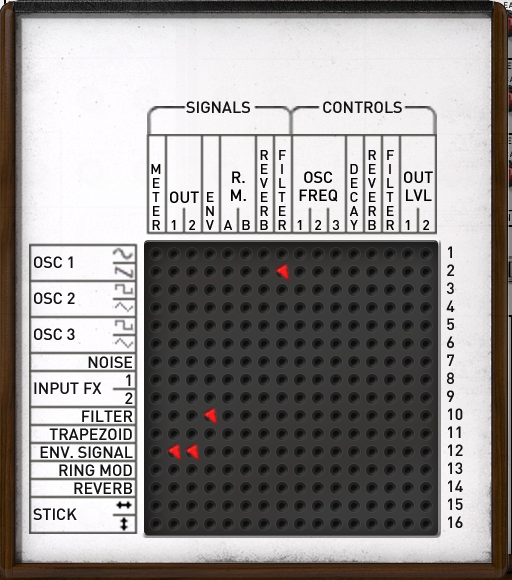 This is done by using the peg board on the original synth, or in this case by clicking the modulation matrix on the software, made to look like said peg board. Conveniently, you can enlarge the matrix as it appears a little small on the interface, and the software automatically draws guide lines so you know you're making the correct connection. The pegs change color based on how much signal they're passing, so you can dial in exactly how much of a particular signal you want. The need to make all the connections yourself means that you need to know what you're doing going into this plugin, and you're not going to be able to stumble randomly into a sound you like. However, the peg board does allow you to make nice mistakes when you've developed the basic routing of the sound, sometimes giving you unique sounds. So there's a bit of a give and take, when you build patches-- it takes longer, and you have to be conscious of the basic routings to get sound-- the plugin won't just know where you want your "audio out", you have to tell it so. All of this brings a complete level of control, where you can get crazy experimental sounds, as well as the standard bread-and-butter basses and leads alike. There is definitely a need for the manual with this synth, as some features are hidden or in need of explanation. For example, the ADSR envelope doesn't work in a "standard" way-- the "sustain" knob controls a time, not a level, on the initialized patch, so you wouldn't be able to play, say, organ sounds, unless you look up how to change it to a standard ADSR. The standard ADSR is available, and thankfully enough, easy to switch to. 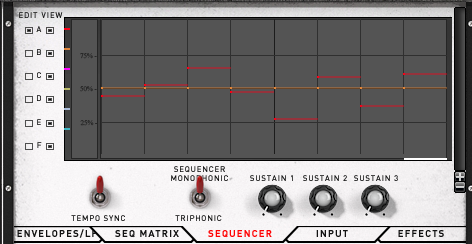 Likewise, the sequencer isn't just "plug and play", so you won't be sequencing in just one click. 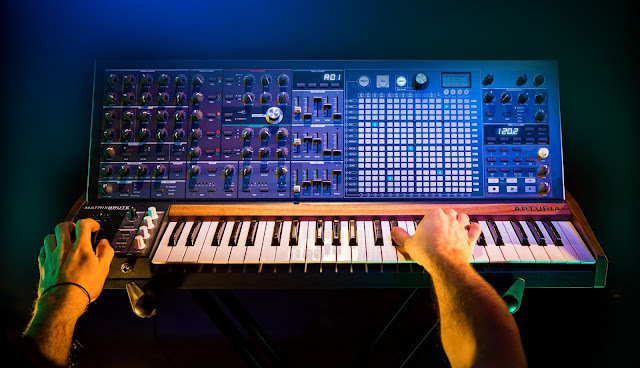 All of these quirks help build the work flow to the synthesizer, so once you've grown accustomed to the very old school approach to synthesis this was that XILS Lab has faithfully recreated, you'll be patching in no time. Of course, a review of the new XILS 4 wouldn't be complete without a quick look back at the XILS 3, which you can still buy, and which the XILS 4 includes when purchased. 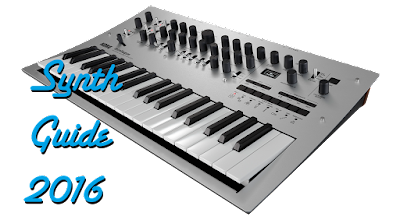 The XILS 4 includes two synth modules (or cores as they're called on XILS Lab's site). Essentially, this means that the main oscillator, filter, and routing section is repeated, so you can build two patches and layer them, given you even more flexibility. These are then both processed by the same built in effects, or manipulated using the sequencer, and anything else located in the non-synth modulation module of the plugin. The XILS 4 also includes more presets than the XILS 3. There's an "LE" version of the XILS 3 for a lower price, but it doesn't contain features like the extended modules, or the ability to control how much signal is sent via the matrix. The preset library on the X4 is large, with over 680 sounds to choose from, all of which show the depth of the synth nicely. There are plenty of brass and bass sounds to go around, but then some edge into mellotron-esque territory, oddly enough. There are pre-sequenced sounds as well, but I prefer the simpler sounds that make it easier to jump off from. The oscillators and filter can sound warm or harsh, so the basic sounds are dynamic enough. It's easy to get lost in the mod-matrix as you experiment with trying different modulations, which is my favorite part of this synth-- it invokes the real feeling of having a VCS3 and using the peg board. The fact that I can easily create and undo different paths without pull down menus or different pages is a great experience. When you take in account the ring modulator and built in effects, the XILS 4 is truly a capable vintage recreation. If you're looking for a faithful recreation of the original VCS 3., the XILS 4 offers nearly the same interface, a great sound emulation, and a large selection of varied presets. If you're looking for a beefed up version of the original, the XILS 4 contains the desired modern features, with tempo sync, expanded modulation, sequencing, external processing, and built in effects. The XILS 4 is also recommended for anyone who wants to do far out, experimental type sounds as well, because the interface lends itself to dialing in drones and squeaks in addition to the vintage classics. The only fault of the XILS 4 is that of its emulation, the VCS3, with pure manual routing, although this is also its strength. When you consider the price of the original VCS 3 and compare the quality of the XILS 4, it's an easy pickup for anyone who is looking for the sounds of the original in a no-hassle format. You can buy the XILS Lab XILS 4 and hear demos at the XILS Lab website.